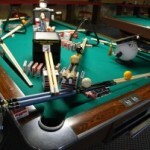 4/1/2015 Waxhaw, NC -From the early 80’s, women’s billiards in the UK has been mostly dominated by three unrelated women who share the same last name. The story of Mandy Fisher, Allison Fisher and Kelly Fisher, who shaped an entire sport, is ready to be told and your help is needed to bring their stories to life. 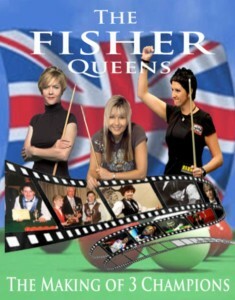 Former WPBA touring professional Kim Shaw has teamed up with television director Julie Edwards to tell the story of “The Fisher Queens: The Making of 3 Champions”. This video documentary will follow these three champions as they return to their hometowns, discuss their lives and goals, and relate the stories of what made them exceptional within their field. This project will also introduce viewers to some of the influential people in their lives, and demonstrate the drive, determination, and motivation needed for women to progress and succeed in a sport dominated by men. 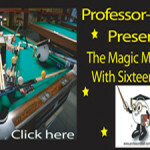 This documentary will not only provide a historical record of the rise of women’s professional billiards but will also provide an insight into the minds of three women who have shaped and dominated a sport traditionally viewed as predominantly male. Hopefully it will inspire women all over the world to dream big and accept that no obstacle is insurmountable. “We wanted to tell the story of how women’s snooker became a springboard for Kelly Fisher and Allison Fisher’s careers and then showcase them. When we realized that it was largely due to the efforts of another former snooker champion who shares the same last name, Mandy Fisher, we were excited to tell the story of all three Fishers” said Kim Shaw, who has been instrumental in putting the project together. The filmmakers will be launching a Kickstarter campaign on April 1st to help fund the project. They have also started a Facebook page with classic and new images, stories, and comments from fans. With your help, these ladies can bring their stories to the world.